AS Pakistan’s liquid foreign currency reserves slip in the wake of a widening current account deficit, falling overseas remittances and a growing international trade imbalance, a return to yet another IMF bailout looks inevitable. The return to the Washington-based global lender by one of its most mediocre and repeated clients appeared almost certain — even before former prime minister Nawaz Sharif was disqualified by the Supreme Court. Any hope of Pakistan’s balance of payments comfortably holding out until next year’s parliamentary elections appears increasingly unlikely. And, when there is a new loan agreement, the IMF’s well-known medicine will come with another round of belt-tightening measures, notably targeting middle- and low-income households. In return, Pakistan will receive a new supply line of IMF funds to unlock other international loans from various sources, notably multilateral agencies such as the World Bank and commercial sources. The outcome will seemingly halt a depletion of Pakistan’s foreign currency reserves and create a sense of returning calm. How­ever, if past trends are a guide, long-term reforms to help Pakistan graduate beyond its repeated return to the IMF are unlikely. Welcome to yet another tragic chapter in our economy’s history. Welcome to yet another tragic chapter in Pakistan’s haphazard economic journey, where a fresh IMF rescue package looks increasingly likely. Though the PML-N government is eager to ascribe worsening economic trends to events following the former premier’s departure, nothing could be further from the truth. Well before the Panama verdict was delivered, Pakistan’s exports were already collapsing. And the current account deficit was an increasingly alarming fact of life even when Sharif’s disqualification was impossible to predict. Pakistan’s present-day economic ailments have much to do with failures, including policy failures, of recent years, either since or before the PML-N’s electoral victory of 2013. Together, the failure to tackle the worst energy crisis in Pakistan’s history along with the failure to undertake other key measures, including a much-needed devaluation of the rupee, have eroded Pakistan’s ability to meet the challenge. 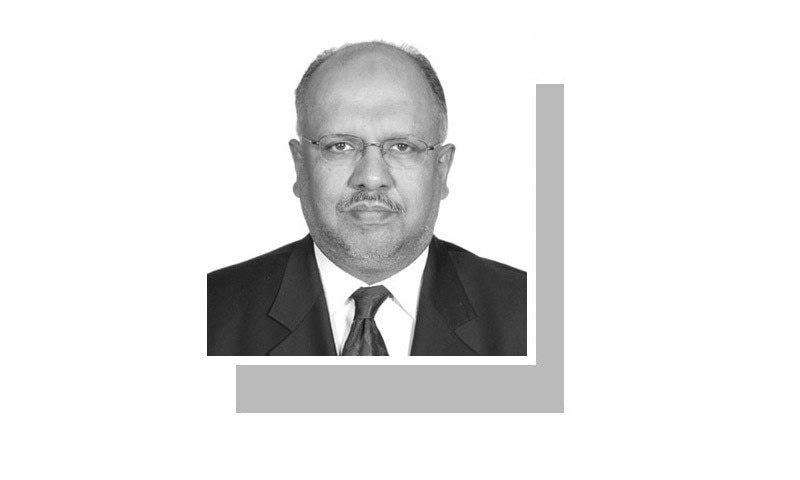 Meanwhile, the crisis surrounding Pakis­tan’s agriculture sector, though not necessarily of immediate consequence to the future of foreign reserves, has added an adverse element to the economy. The government’s obsession with fanciful initiatives such as metro bus projects and high-speed roads — all with borrowed money — runs the risk of becoming the proverbial white elephant unless Pakistan’s ability to keep up with its mounting debt payments improves radically. The discussion on Pakistan’s future relationship with the IMF will remain incomplete without considering Islamabad’s past experiences. The bailouts facilitated by the lender recognised some of the worst gaps in Pakistan’s economic framework, though it failed to oversee a raft of sorely needed and long overdue structural reforms. The very fact that Pakistan today is looking at the prospect of yet another IMF loan progra­mme, less than a year after graduating from the last one, speaks volumes for the failure to tackle the country’s multiple weaknesses. A major economic overhaul will not succeed in bringing Pakistan on to the path of sustainable and long-term improvement without forcing a much-needed rule of law surrounding the economy. This ultimate goal will need to be built upon a radical reform of Pakistan’s tax collection system in tandem with redefining the country’s economic philosophy. Fanci­ful ideas seen in recent years will have to be set aside in favour of add­ressing urgent human needs, whose presence has practically placed more than 70 mil­lion Pakis­tanis, or at least a third of the population, in abject poverty. In approaching the IMF for another loan, elements of the last loan programme must be carefully examined. Specifically, the IMF’s decision to grant the reported 12 waivers over a three-year period of the last loan must be probed in detail. Driven by a brand new economic philosophy, Pakistan must immediately embark on a comprehensive reform of the tax collection system, while also reorienting the country’s priorities away from fancy initiatives to areas that matter the most for the mainstream. Without such a fundamental reorientation of priorities, the danger is indeed much too obvious. As long as Pakistan’s interests are driven by the elite to serve the elite, the country’s future will be interspersed with periodic bailouts by the likes of the IMF in between short-lived eras of economic growth and recovery. Going forward, Pakistan’s economic outlook and a tainted repute of the ruling structure are not the only elements that will be at stake. Of equal significance will be the credibility of the IMF and its economic formula to begin fixing Pakistan’s economic ills. You assume that IMF will oblige. But if IS refuses to lean on IMF on behalf of Pakistan, IMF may not oblige. By the time Imran Khan becomes PM he will not be able to borrow anything anywhere. Socialists have a difficult time managing an economy because of increased public spending. Increased public spending will increase government employees and government salaries. Pakistan's amdministration must be able to increase taxes and collect those taxes. It taxes can't be collected the ship of Pakistan will start to sink. Agreed. Tax system needs to be reformed and on an urgent basis. Problem is that the government is scared to do that anticipating possible efforts by opposition to politicise the whole thing. If some other party comes to power the next time it will not be able to do it for same reason. As Ishaq Dar sometime ago suggested - we need to have a charter of economy with broader outline agreed upon by all parties to avoid blackmailing by trader and business cartels. Will they be able to go beyond their petty political objectives? Unfortunately it looks unlikely at the moment. This however is the only plausible way forward. Good write up but two major issues are missing. Democratic government has their hands tied as major budget allocation goes to establishment open check books and debt servicing. Whatever left is just peanuts or may be little more. On top of it establishment does allows relationship and trade with neighbours which most potential. Another issue missing is outlay due to CPEC which will continue for years to come. Just roads won't help exports. The last line puts IMF on notice for performing for the Pakistani economy, or else....hardly a great suggestion when the problems are internal, driven by a large chunk or subsidy. If you will being arrogated to itself by Pakistani s true ruler elite , the defence forces. Whose actions in the first place have ensured making Pakistan s economic Im balances worse. But no one analyses these costs anymore in Pakistan. So no prescription sans this reality check, will suffice. Most likely IMF isn't required. Inflows from CPEC projects & consequent revenues should provide the necessary foreign exchange. So why is it that in most of his speeches Nawaz Shariff has been at pains telling the nation look how awful the economy was in 2013 and how healthy it is now? Who to believe? The author is very right when he says that it may be inevitable to take a loan from IMF. Yes the loan from IMF is always a bitter pill of medicine which always comes along with riders and conditions but when anyone takes a medicine for cure; the dosage is always bitter but the good part is that it does cure the illness. What else are the alternatives ? Who else would lend to Pakistan in meeting its crisis of balance of payments except maybe China ? And even if for arguments sake one assumed that China would lend; then what would be the cost of borrowing 16% ? It should not be forgotten that no one can eat and have the cake too. Speed up the implementation of CPEC. It will increase the GDP growth rate and reduce the need for more loans. Can Pakistan improve its exports? Being a part of CPEC has made that task that bit more harder. Pakistan has just made it easier for Chinese manufacturers to reduce prices of their products further by giving them easier transport, which brings thier logistics costs down. Whichever products are manufactured by by both coontries (eg garments) for export, the chinese will have an edge.... thanks to CPEC. Whole article only describes the problem which everyone seems to know already, nothing in particular and no remedy measures even hinted. Loan is no solution it will drag you deeper. Ban import of luxury items, increase revenue. Why if a non filer tax is deduted at a higher rate on buying a luxury item ( Car etc.) , he is not brought into Tax net? @Zak I think you have not read this article. This problem is due to current account deficit that mean more import from China and no or very low export. This imbalance is due to CPEC as you are paying for import of raw materials and labour from China to complete CPEC. This will get worse once CPEC loan payment will start. Prolonging the inevitable is not a healthy approach. @Zak : I agree with the author. If Pakistan does not become fiscally disciplined, it will face tough economic times. Money for CPEC projects also goes back to Chinese companies for the imported capital goods & machinery. The CPEC revenues are a few years away; but the author talks of today & the near future. Why should the IMF fix Pakistan's economic ills? Pakistan will have to learn to rely on China if it ruptures its relationship with the US. Good Luck ! @Zak : The fact is CPEC repayments with marked up profits, interest and capital will start before you can even see a single dollar as revenue. Ask for the revenue projections for Pakistan (and not China) and you will see where you are headed. What revenue Pakistan can get by exporting through Gwadar when almost 45% capacity of Karachi is unutilized ? CPEC is the last nail in Pakistan coffin . IMF & World Bank are far lesser evil than CPEC . CPEC is not an investment -It is a loan at much higher interest rate than IMF & World bank . @Zak " Inflows from CPEC projects & consequent revenues should provide the necessary foreign exchange." 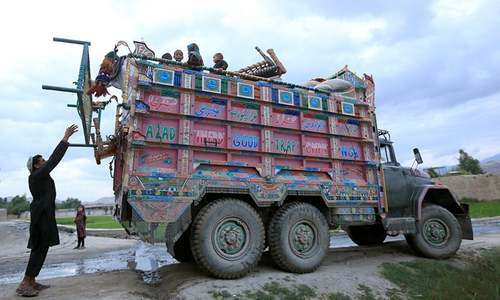 The principal US goal as per their new Afgan Policy is to retain military bases indefinitely — not to settle Afghanistan but to undercut China and Russia. The prime target for now is going to be CPEC and India will be a key partner in this endeavour..... Pakistan should have brought this to the knowledge of China and Russia before BRICS Meeting. Nawaz and company looted the nation, took loans for mega projects which were built at a very high cost, which were financially not viable, appointed incompetent people to important positions and then kept saying that Pakistan is making progress. What a joke. It was said that they had a very experienced team. Yes it is an experienced team for doing corruption but not for managing nations finances. Not only the money, we should go for the IMF expertise, as well. The IMF executives are competent professionals who would definitely do a better job as administrators of Pakistan. Some time back our economic genius Dhar saheb thundered that w will never go to IMF again..now what happened? what happened to the economic miracles achieved in the past 3 years? The author needs to tackle the real sources of why Pakistan goes to the IMF and it has little to do with the collection of taxes and more to do with runaway military expenditure and the structure of an economy built on consumption and militarization of services. This arrangement is very profitable for the IMF and the West while it might bury Pakistan under loans that eat up the budget. The only way resource theft, i.e. providing near free export to the West because of the nature of the products, can change is through industry protection, the IMF will never tolerate that. Congratulations on a realistic analysis free of hyperbole. Crux of the matter is fanciful wishes of Pakistan. This should be extended to cover a more substantial sphere. Pakiatan needs to get rid of not only fanciful projects but also fanciful political aspirations. Pakistans interest would be best served by recognizing the changing world order and retreating to focus on Pakistan domestically than try to play a righteous superpower which it is not. We are importing like there is no tomorrow and blame CPEC for that. Oil prices are down and are going to stay for a long time with Trump's policies which means the remittances from the middle east are NOT going to go up anytime soon. Our current account deficit (thanks to Dar's voodoo economics) is forever widening. IMF is always there in our thoughts and only it can bail us our again. Our all weather friend China will not come to our aid. @Ali Ha, ha, ha. Better terms from China? Have you looked at their terms and compared them to IMF/World Bank terms? China is ALL business but the IMF/World Bank are meant for beggars and their terms are always favorable albeit with stringent conditions (which incidentally we have been ignoring and getting away with it). If we do the same with China they will take over country like they did in Sri Lanka and are doing in African countries. @SAT CPEC is not going to increase your exports? You will make some usage fee. That is it, by the way your Imports will increase. ....... this is called breaking Pakistan from the inside. Its clear that this plan was vigorously pursued over the last 4 years and the nation was repeatedly told that we have put an end to the IMF borrowing....a statement that was an insult to the average thinking persons intelligence. How can a nation drive itself into such a situation?? Not once or twice but several times. Pakistan is led by very poor leadership whose incompetence knows no bounds. The economic slump will be very harsh on the poor. No one will want to invest in such uncertain times. It is a vicious economic circle. I wish luck to pakistan. Hope you can revive your economy. If Pakistan sets up a tax collection system and increases the number of tax payers,what is the difference between Pakistan and India?Pakistan was conceived as a tax haven for muslims of the Indian subcontinent,where Muslims will not be taxed,increase in taxes is against the very creation of Pakistan. Perhaps if Pak brings in GST into its economy, there can be a sea change in Government resource collection like it has happened in India. I am sure China can give some more loans. China is Pakistan's all weather friend. Also CPEC needs to be put on fast track. More investments can come with it. And the cheaper imports would reduce the outflow of Pakistani foreign currency. Iron brother China will help in no time. I am sorry to to mention that the financial policies are framed by The Ministry of Finance that there will be deficit in last analysis. Hence without going back to IMF there will be no alternative.